Bars are one of the most popular scooter components to swap out, this is usually the case because bars make a drastic different on how appealing a scooter is visually, a bar swap can reduce overall scooter weight and many of the bars that come on complete scooters are too short and too narrow for progressing riders. 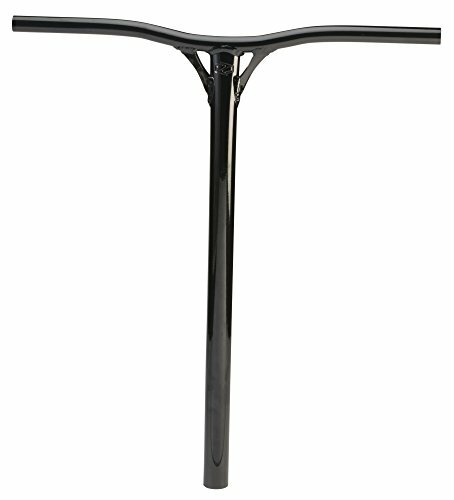 For example consider these bar dimensions from some of the most popular complete stunt scooters in the market today. 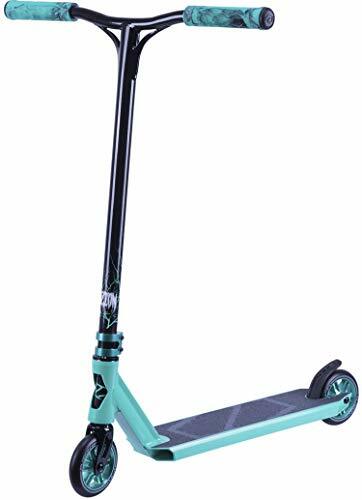 If you’ve seen our post on Titanium scooter bars then you know how expensive scooter bars are becoming, if you haven’t yet check it out here. It’s not out of the ordinary to see a pair of titanium bars retailing for upwards of $250!!! 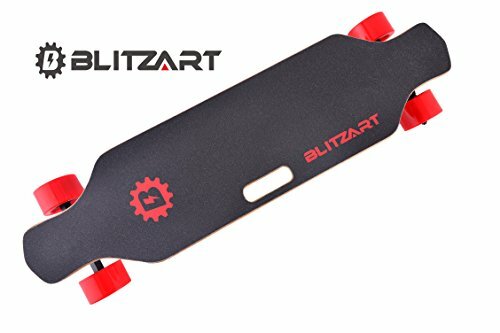 Most casual scooter riders don’t even pay that much for their entire set up. So a cheaper stunt scooter bar solution absolutely necessary. Depending on how much you want to spend upgrading your bars we’ve hand selected 3 solid options at varying price points. If you weight deduction isn’t a concern and you like the way these look, the ST1 from district scooters is a great reasonably priced handlebar. Width and height are sufficient at 23” and 26” respectively. Built from 4130 Chromoly steel and heated treated at extreme temperatures these bars won’t let you down. They are priced very competitively at only $40. 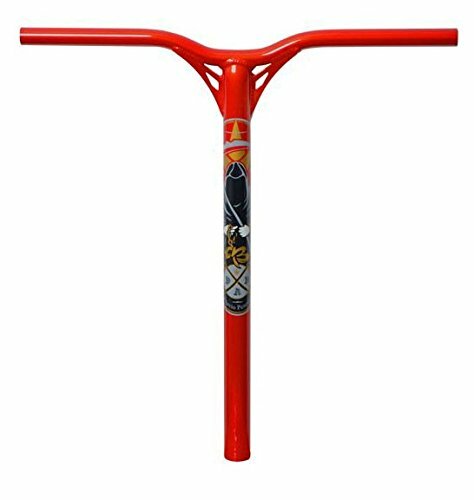 If you have some extra money to spend the ST1 bars are available in a sweet rust color dubbed “Coine” for an extra $70. A little wider and equally at tall as the District bars the Phoenix Recon handlebars look great and perform just as nicely. 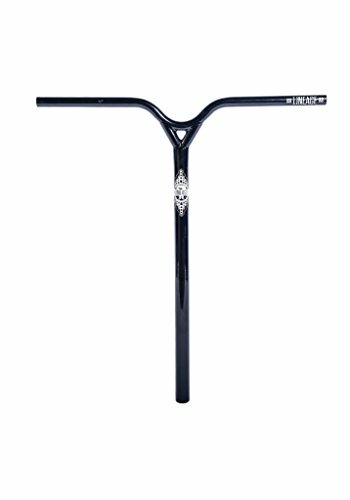 Basically what you get here is a classic “T” bar style handlebar with gussets for additional strength. 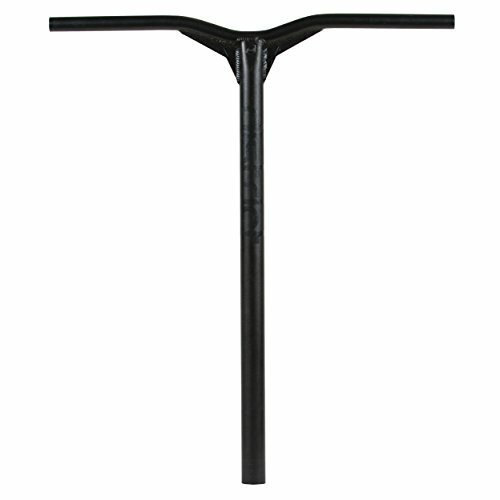 These bars are oversized which means you will need a clamp that is compatible with bars measuring 34.9mm. What differentiates these bars from all of the others on this list is that they are made from Hi-Tensile steel and not chromoly. As a result you’ll get a handle that is more rigid and durable but you will take on added weight as a trade off. The Lineage by Phoenix is a incredibly unique looking bar. It’s a show stopper for sure but has the same specification as the Recon bars. Oversized at 34.9mm, measurements of 26” tall by 24” wide but the difference is that it is made from 4130 chromoly steel. If you like the way the Lineage bars look they are a great upgrade bar for someone riding a factory complete scooter. these handlebars are perfect for someone looking to shave some weight off of their set up. What sets them apart from the rest of the field is that the Fathom bars are made from Aluminum when the others are made from steel. Aluminum is going to save a lot of weight but sacrifice some durability. The Fuzion bars are standard size making them compatible with most IHC setups. Measurements are 25” tall by 22” wide, these are a little shorter and narrower than the other bars mentioned. Blunt and Envy is a company that specializes in scooters and scooter parts. 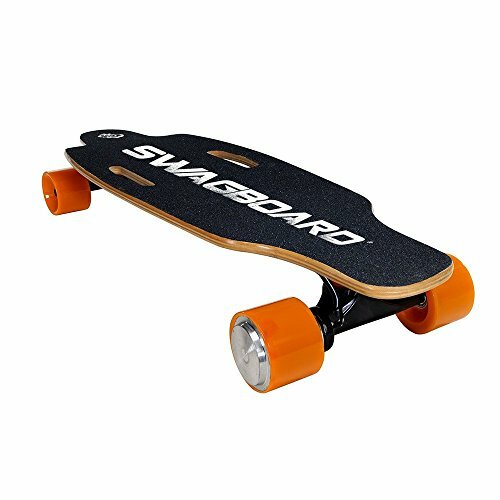 They supply complete scooters, as well as parts such as decks, bearings, clamps, and wheels, handgrips, bars, headsets, pegs, grip tape, brakes, and other accessories. 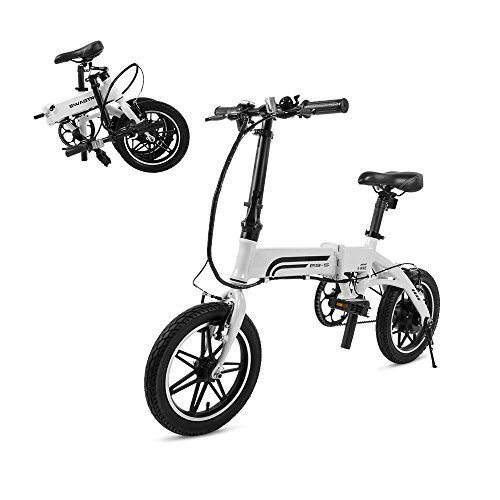 They are popularly known amongst scooter enthusiasts because they offer a complete line-up of scooters and scooter needs. 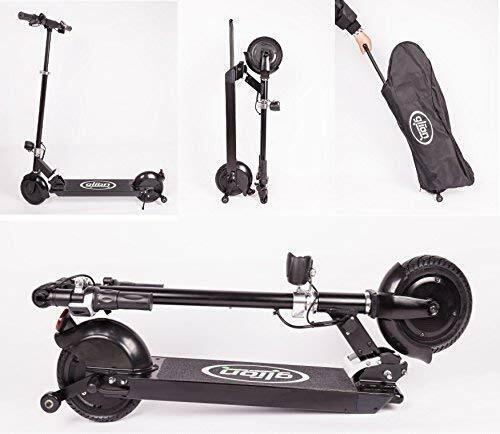 They also specialize in scooters that are specifically designed for real pro level riding. 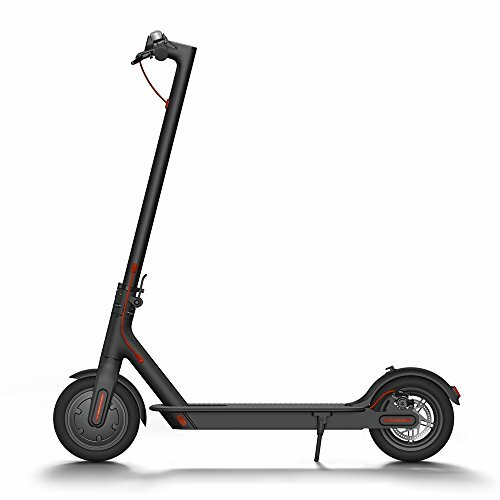 Most of the scooters feature robust sizing. 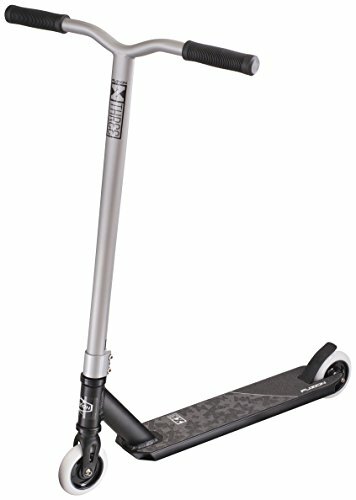 These are the types of scooters that go way beyond the casual cruise in the park and into the stunt arena. One of their most popular parts is their reaper bars. There are four major types of bars that the company produces –the soul bars, thermal bars, union bars, and the reaper bars. Reaper bars were actually the first aluminum bars manufactured by the company. The rest is vastly made out of Chromoly steel, which may be durable but also tends to rust and loses in the weight comparison. If you want something that will look great on your scooter, reapers are a solid option especially the All New Reaper V3.. 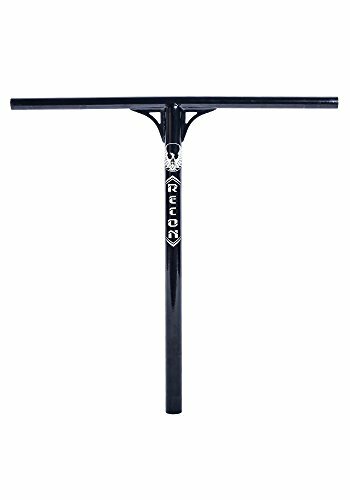 The reaper bar features gussets that are tapered and extruded, which gives them added strength on top of the innate durability that the aluminum material possesses. The aluminum material in the bar is actually 6061 T6 aircraft grade, meaning that it is not just your everyday average aluminum. It truly is built sturdy enough to withstand pressure and impact as well as rapid movement that is characteristic of aircraft. You can readily assume that this bar might just be the last bar you will ever need. At the top of the bar, you may notice a BMX-like curve that gives it a BMX-like look, except without the back sweep. This gives it the BMX looks while maintaining that classic T bar feel to it. This makes the reaper quite ergonomic, but at the same time traditional so that you will need no adjustments when transitioning to this new bar. On top of it all, you can count on the seek and tasteful exterior of the designs provided by Envy. You can easily show off your style aesthetics and personality with their cleverly designed bars that are easy on the eyes. This one has a powder coated finish that comes in blue, chrome and black. It also comes with sublimated graphics made with high-quality decals that can withstand weather and climate so that your bar stays stylish and good as new no matter how long you have been riding it.